Pearland Residents, are you suffering a painful toothache? Dr. Nugent understands that toothaches are miserable. Dr. Nugent has a great deal of experience treating toothaches. Don’t suffer through painful toothaches any longer. Call Dr. Nugent at 713-941-8261 to schedule an appointment. Don’t let your dental problem get worse! Federal Law prohibits Dr. Nugent from prescribing any medications to people that are not patients at his office. Avoid any foods that are tough and difficult to chew. Avoid foods with excessive sugar. 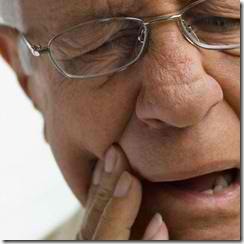 Over-the-counter pain medications can help reduce the pain associate with a toothache. Rinse your mouth with a warm salt water rinse. Floss between your teeth to try to dislodge any trapped food that is causing irritations. Apply an ice pack to your cheek to reduce swelling. Take control of dental health by scheduling an appointment with Dr. Nugent. The Pasadena Citizen newspaper has voted Dr. Nugent BEST DENTIST in 2010 and BEST DENTIST in 2011. Dr. Nugent helps patients from Pasadena, Deer Park, League City, Clear Lake, La Porte, Friendswood, Pearland and Houston, Texas. 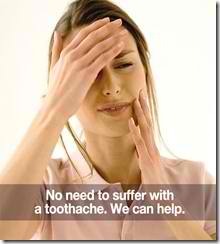 Dr. Nugent can help relieve your toothache today and create a healthy smile for years to come.